Sometimes, a little humor goes a long way, even for self-portraits. 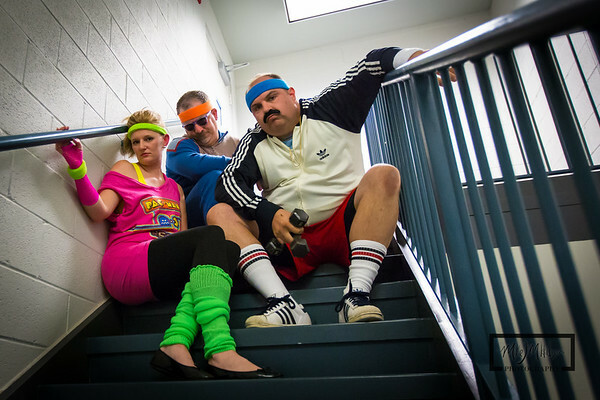 We are participating in a Get Fit Challenge at work as part of the health initiative, and we needed to take a team photo. 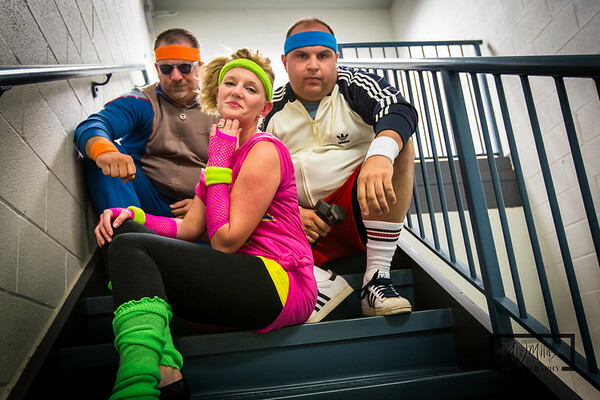 I suggested that we dress up in 80's workout gear for our image. No flash, high iso, fake mustache in a stairwell. Rad.